Qiaojia Dayuan (Qiaojiabu Folklore Museum) Located in a large courtyard in Qiaojiabu village of the Qi County, Qiaojia Dayuan was the residential house of Qiao Zhiyong, a capitalist in the Qing Dynasty who attained his fortune in financial and commercial business in the periods of Emperor Jiaqing and Emperor Daoguang. With typical northern China architectural characteristics, the Dayuan (courtyard) is divided into 6 big yards and 20 small yards with 313 rooms and covers an area of over 8,700 sq meters. Here you can watch farming activities in every season, ceremonies of sacrifice and ancestral warship, wedding ceremonies and daily life. 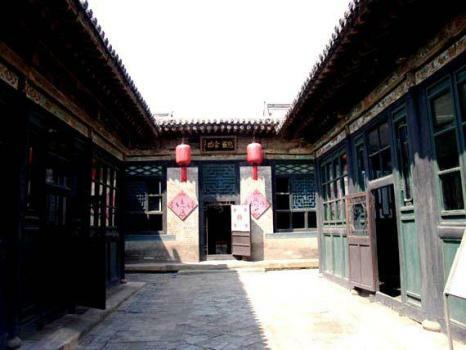 Through which you'll have a view of the folk customs of Shanxi during the period of late Qing Dynasty.Qiao Family Courtyard House is where Zhang Yimou shoot Red Lantern. It is 40km southwest of Taiyuan. Occupying 8724 square meters, this courtyard consists of 313 houses.Its overall arrangement is well knit with exquisite architecture that is uniform as well as diverse. 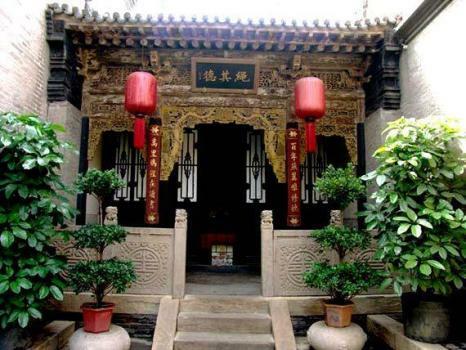 The owner of the residences was Qiao Zhiyong, a famouse merchant at the end of the Qing Dynasty(1616-1911).Red lanterns and a large gate are the marks of the complex.